I have a soft spot in my heart for Hong Kong movies. I grew up watching them. And I've only ever seen one on the big screen, on one of my trips back to HK many years ago. So, I'm pretty excited about this one. 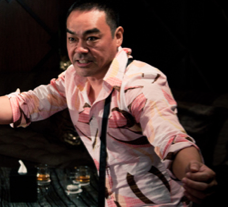 This weekend ArtsEmerson gives the Boston release to Hong Kong maestro Johnnie To's 2011 film Life Without Principle. Johnnie To’s latest depicts Hong Kong society in the wake of the global financial meltdown. A bank teller, a gangster and a police inspector—all in dire need of money—are connected through a crime involving several million dollars. All ArtsEmerson film screenings take place in the Paramount Center's Bright Family Screening Room. 0 Response to "HK Movie: Life Without Principle - Starts 3/16"